Andi Peterson, a 26-year-old Utah resident, suffered a years-long heroin addiction before she was old enough to vote. Like many suffering in today’s opioid crisis, Peterson got hooked after being introduced to prescription opioids at 16. Peterson had more advantages to getting clean than many affected by opioids. Her parents were supportive and she had health insurance and access to drug treatment centres. But even still, it took her the better part of a decade, half a dozen stints in treatments centres, and finally a year in prison before she finally broke free three years ago. While she saw many addicts succeed in treatment and rehabilitation centres, they never worked for her. And she said there was one major reason why. Treatment centres, by their nature, house people in their in-patient and out-patient programs who are at all different stages of recovery. Some are “pre-contemplative” — not seeing their behaviour as a problem — while others may be as far as “maintenance” — successfully adjusting and avoiding negative behaviour. 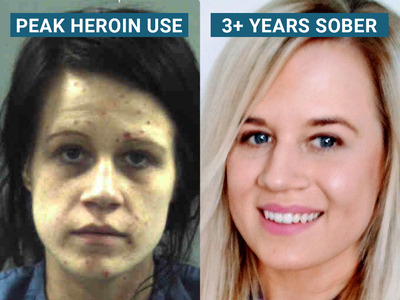 That mixing, Peterson found, led her to repeatedly connect with other opioid users, even after she had decided that she wanted to be clean. Opioids, unlike many other substances, fundamentally rewire the brain and radically change thought patterns. That physical addiction leads many users to relapse or skip out on treatment, no matter what stage of recovery they are at. Hatch did note that patients in more intensive programs like 28-day or three-month in-patient programs tend to have more success than those in out-patient programs. While much of this is due to the rigour of the program, exposure to relapse triggers in the outside world can derail many patients’ recovery. Peterson said that, in her experience, patients in in-patient programs tended to be more committed to recovery than those enrolled in out-patient, herself included. All of her successful treatment stints were at in-patient programs. However, she found that once she left those programs, she had developed a whole new network of users and dealers to turn to when physical cravings overwhelmed her desire to stay clean. Stories like Peterson’s are a major reason why many experts consider medication-assisted treatment, which uses prescription medication to reduce cravings, to be the gold standard of opioid-use treatment. MAT has gained advocates in statehouses and Capitol Hill, but is expensive and not yet widely available. While Peterson was prescribed buprenorphine, the main drug used in MAT, for short stints while detoxing, she was never offered MAT. MAT can often be the difference between life or death for deeply entrenched opioid users, Turner Bitton, the president of the Drug Policy Project of Utah, told Business Insider. While most treatment centres are built around abstinence-based treatment, many opioid users are physically not capable of abstaining completely from use. When users fail out of treatment, they can go into an endless relapse cycle. Many are not as lucky as Peterson, who was finally able to get and stay clean while sereving a year-long prison sentence for narcotics possession.